Let's talk about yourself to other members. your work, hobby, about your house, anything is okay. Hello, I am James McCartney. My undergrad is in informations systems and my masters is in information technology. I work professionally as a software developer and live outside Washington D.C USA. I got involved in microelectronics as a hobby a few years ago and after some time 3d printing. I am pretty good using Sketchup and getting printable parts out of it as well as Eagle PCB CAD. I'll attach some pictures of my PCB work. 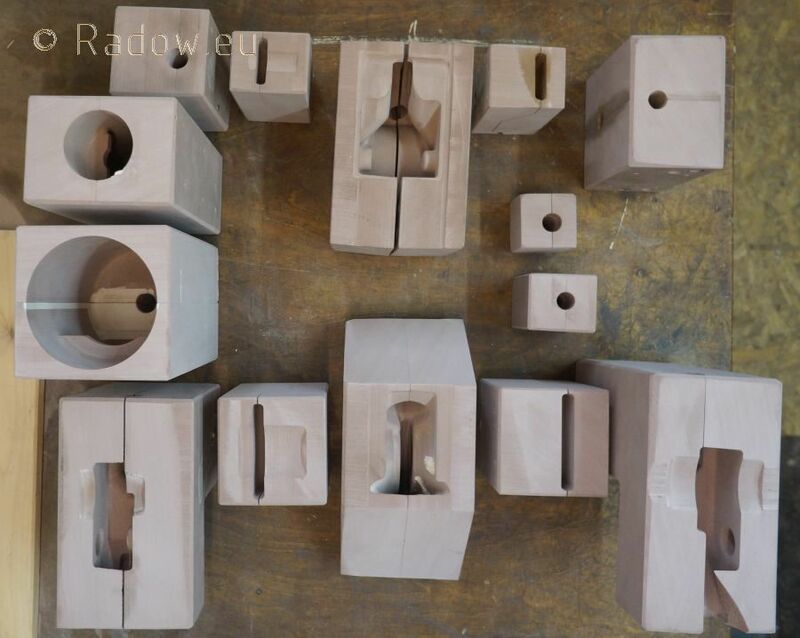 I am Rainer Radow from Hannover, Germany. I am also able to make my home brewed PCB's but more in the crude style with KiCad. I also changed from playing with chemicals to making it by CNC milling and drilling. So you also can form the outer contour in one step with the rest. Ideal for prototyping but limited by the minimum strip line -results are more like a breadboard! I am fascinated by the centipede movement and I would like to help making the design printable on the ordinary home 3D printer and durable to have fun with Shellmo. I also like the/a shell for Shellmo - so we need designers too! Also eyes fascinates me. 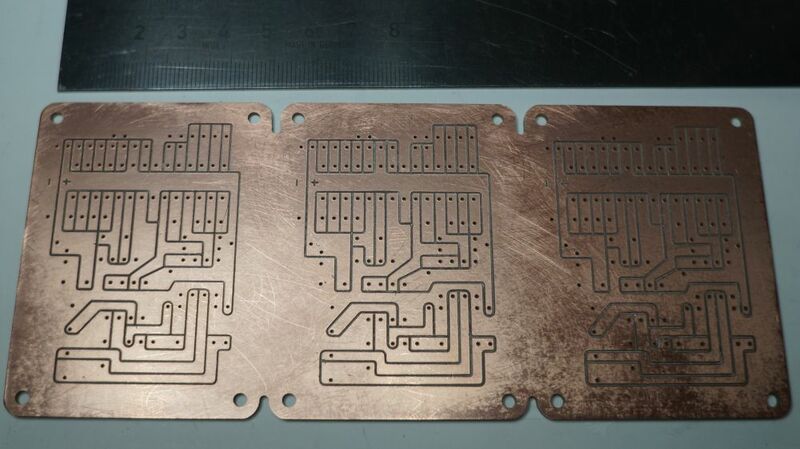 Tonight I milled and drilled my first SMD capable circuit board at home on the small CNC-mill. With this now I can rapid-produce my own Shellmo boards if necessary. Circuit board held against a lamp - bores = 0.6 mm - made for SMD HC 4094 bus register driving a 6 digit LED 7 segment display. It's funny - I am going to bed now 00:34 here in Germany. Sho in Japan will have his breakfast within the next minutes and James will open the first "soft drink" after work. I guess I was very distracted by you machining skills and creations (pics) that for some reason until just now did I realize when you meant "steamboat" you actually meant something you could ride in...followed your link..wow! I Jack Lee come form Kuala Lumpur Malaysia. I'm a Web&Mobile Developer Now,I love any technology about Web&Mobile. I learn some machinery skill in my Frist Job. 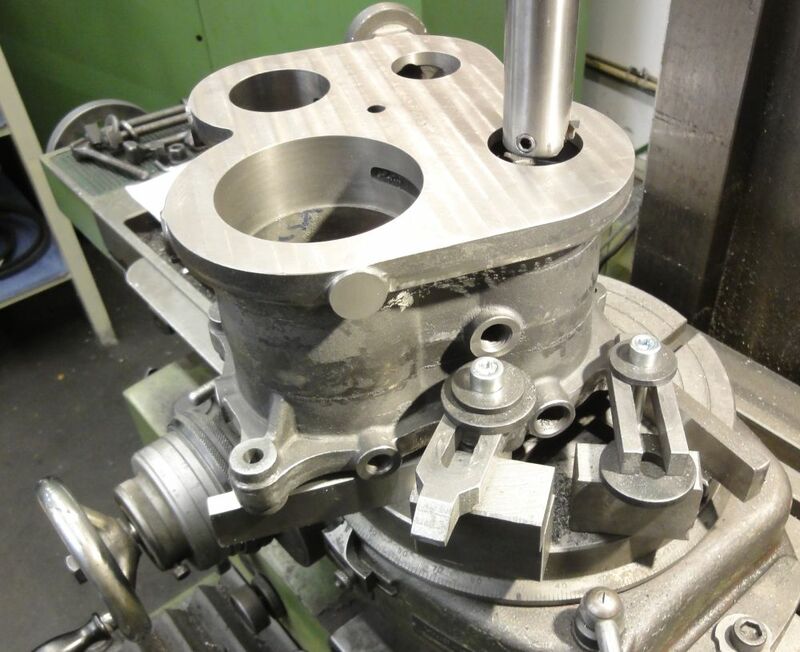 their is a Small Factory in my town .In the Factory i learn how to control a Lathe/Milling Machine and CADCam . I Love Robotics very much.So Develop a Robot is one of my hobby. My name is Xoan Sampaiño, and I'm from Spain. I'm a RepRap enthusiast, and GNU/Linux and (new) FreeCAD user. (11-26-2014 01:46 AM)steamboat Wrote: Welcome Xoan! I'll send you a PM right now.